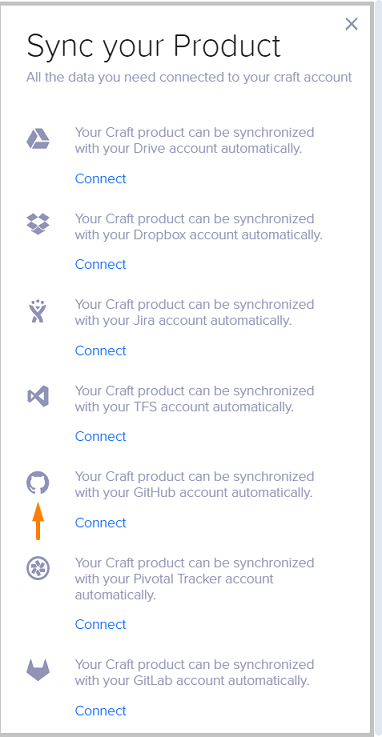 Craft allows you to set up two-way synchronization with GitHub. 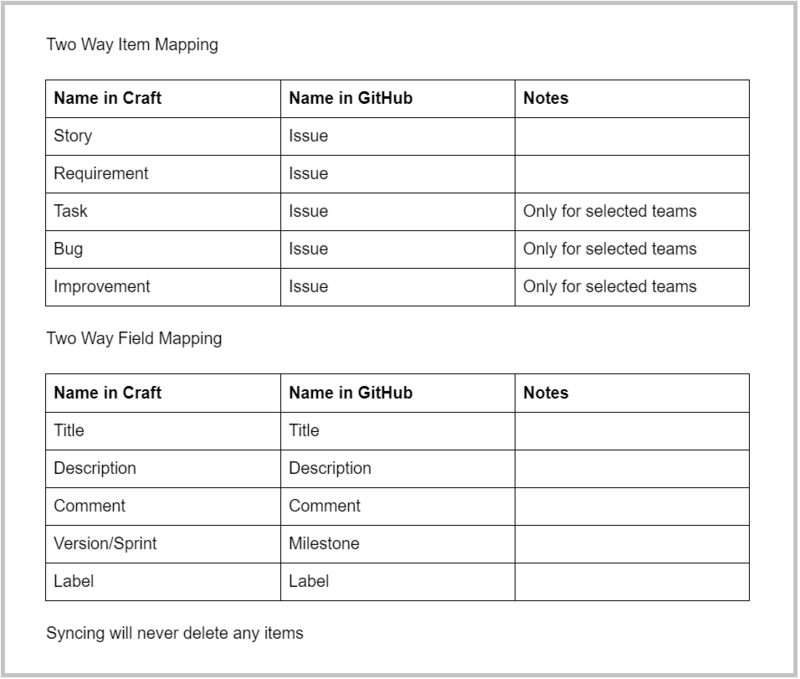 This will allow your development team to keep using GitHub for Sprint execution while using Craft for Ideation, Definition, Prioritization, Planning and Workflow management. Craft will then be used by you to manage your none-dev resources such as UX, Content, Research and other teams. 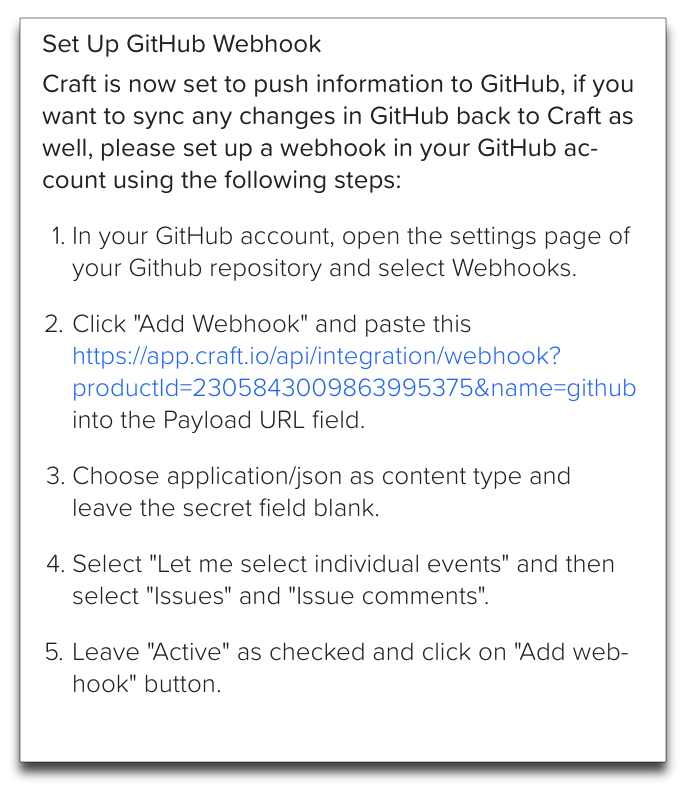 There are two steps required to integrate between Craft and GitHub. Follow them carefully so that the integration succeeds. Important - In order to connect to GitHub, you are required to have the login credentials to GitHub, and your product in Craft must have at least one Epic and one User Story. Press the 9 dots menu located on the Craft toolbar, and select Sync. 2. Press Connect on the GitHub tab. 4. 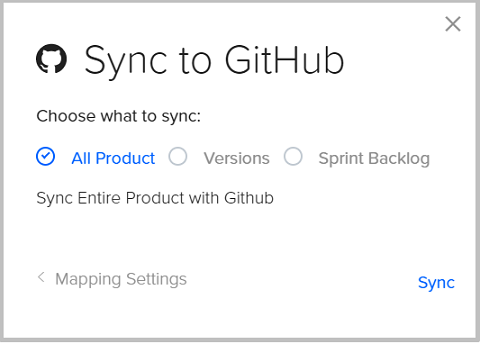 Select one or several GitHub repositories to sync with, and press Next. 5. Define the GitHub settings according to the following, and press Save. 6. 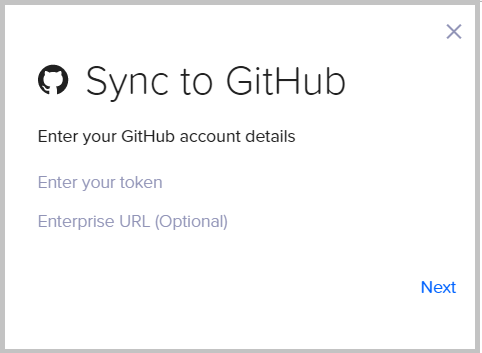 To finalize the Synchronization with GitHub, press Sync Data to GitHub. If you prefer to push the data to GitHub at a later stage, press Do it later. 7. The following step allows you to define what Craft will do when syncing items. 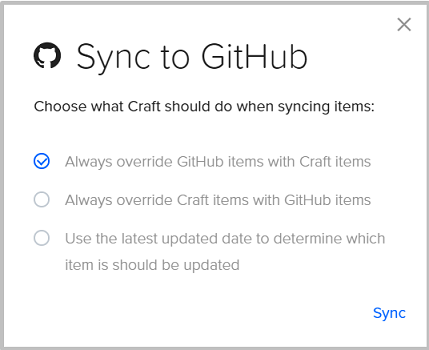 Note: If you previously chose to sync GitHub Milestones with Craft, here you should select the first option: 'Always override GitHub items with Craft items'. This is due to the differences in Date format between the two systems. Select the behavior you prefer, and click Sync. 8. Select the parts of Craft you want to push to GitHub. 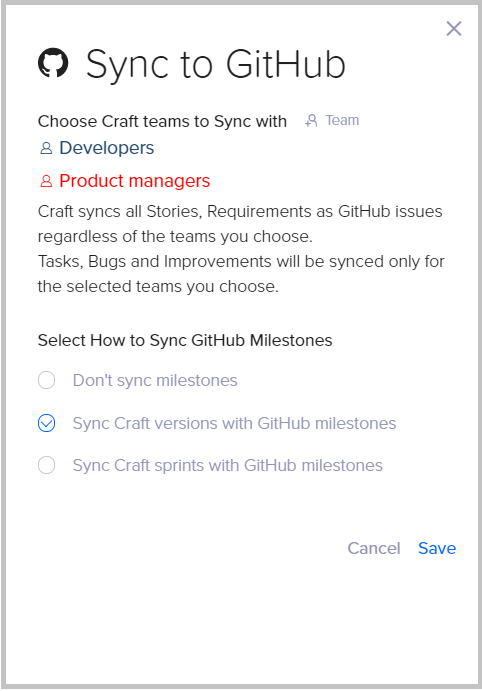 Sprint Backlog - allows you to select one or more Craft sprint backlogs to be pushed to GitHub. Once you have completed your selection, press Sync. Note: Pushing your project, or part of it, may take a long time to complete. Please wait until data has been transferred.